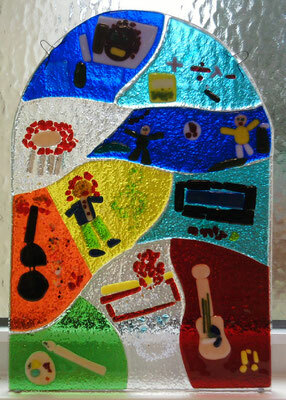 Schools - joannahedleys jimdo page! 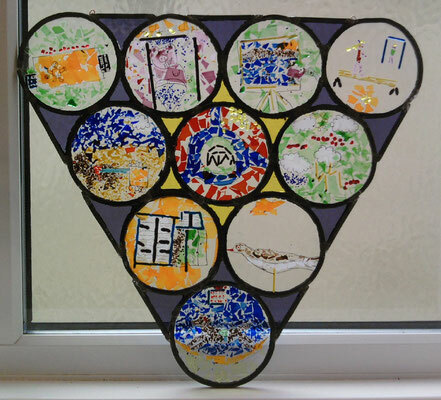 If you would like Joanna to come to your school to run workshops with the students, they could make individual pieces to take home. Or they could work together to create a window for the school. 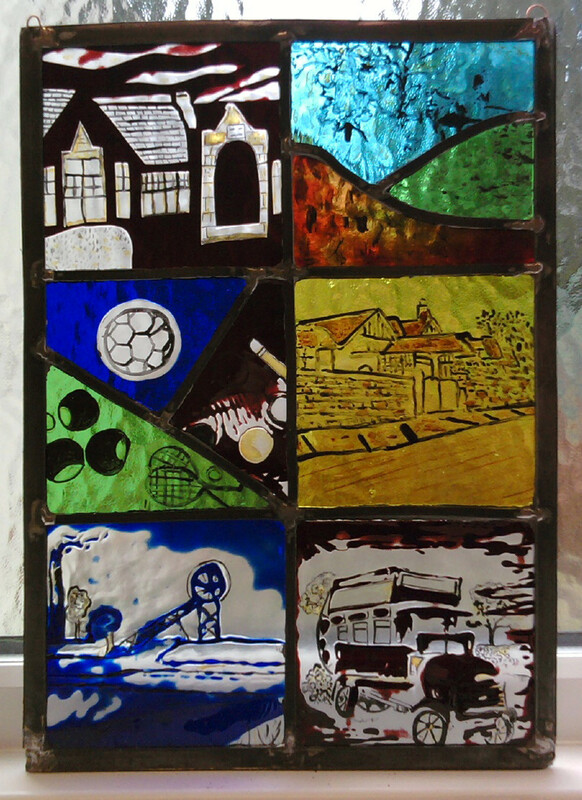 Sessions can be tailor made to suit your needs please contact us for more information and to discuss the possibilities. 2010 I worked with Knop law Primary school Westerhope Primary school and Milecastle Primary school, and also the westerhope history Society, we designed and made 4 windows using different glass and techniques, with each group, the children made windows for their schools, and incorporated elements of school life, the history society used traditional stained glass techniques, photographs of theirs were used and traced onto flashed glass then they were sandblasted. 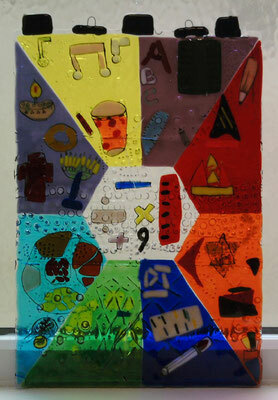 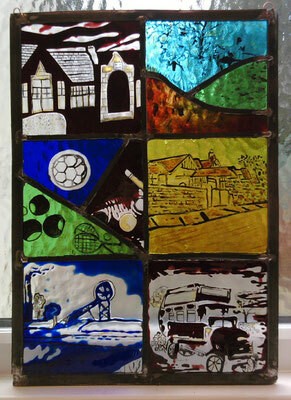 I completed a stained glass window for Westerhope community Centre in 2011 it can be seen on the community glass section. 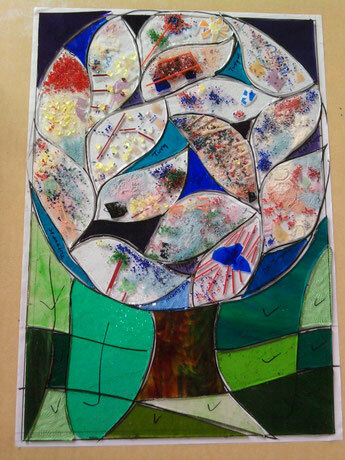 Each child made their own leaf for this glass tree, they decorated the glass with glass frit stringers and confetti, this is it before it was fired.